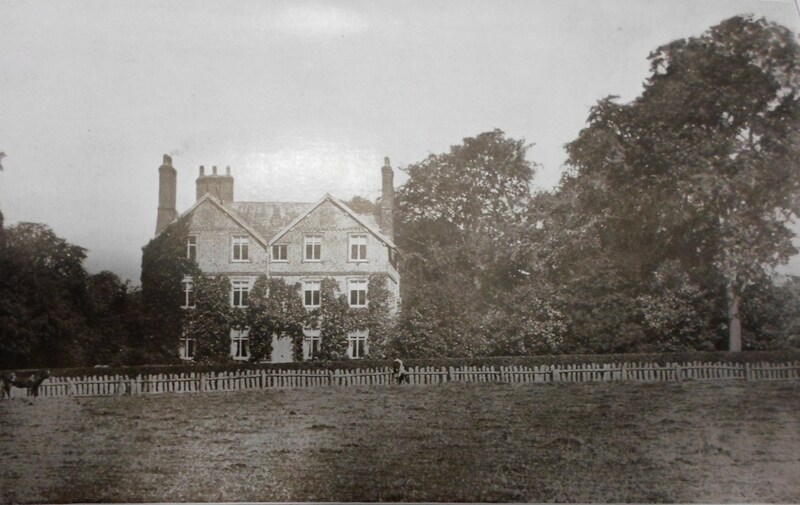 Sandlebridge Farm, also known as Colthurst House, was owned by the Holland family, one of whom, Samuel Holland, was the grandfather of the novelist, Elizabeth Gaskell. She spent some of her childhood at Sandlebridge and the farm features in her novels, Cranford and Cousin Phillis. The house, demolished in the 1960’s, had according to local historian, Alan Dale, a stone above the front door bearing the date 1704. 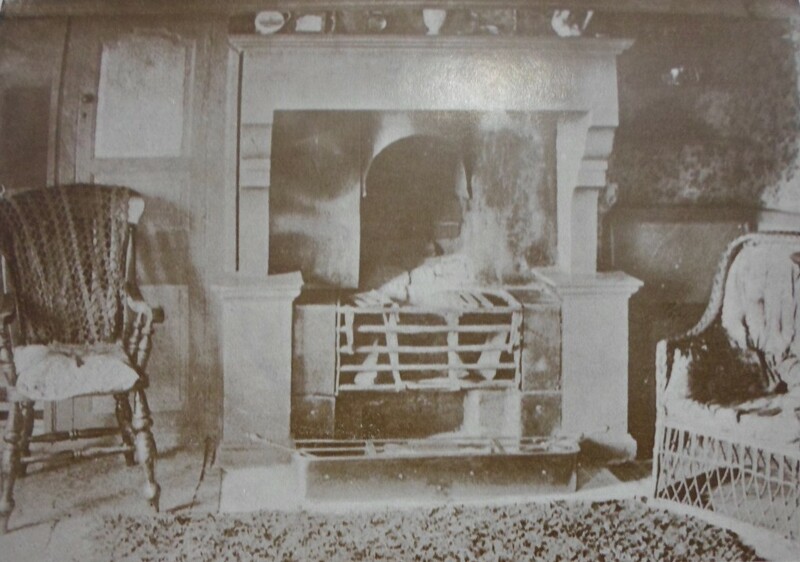 Due to the house’s connection to Mrs Gaskell, detailed descriptions of the building and it’s surroundings remain as documentary evidence, which bring the few black and white photographs we have, into full colour. John Chapple’s detailed work, “Elizabeth Gaskell: The Early Years”, brings together some interesting descriptions of the house in its early years. 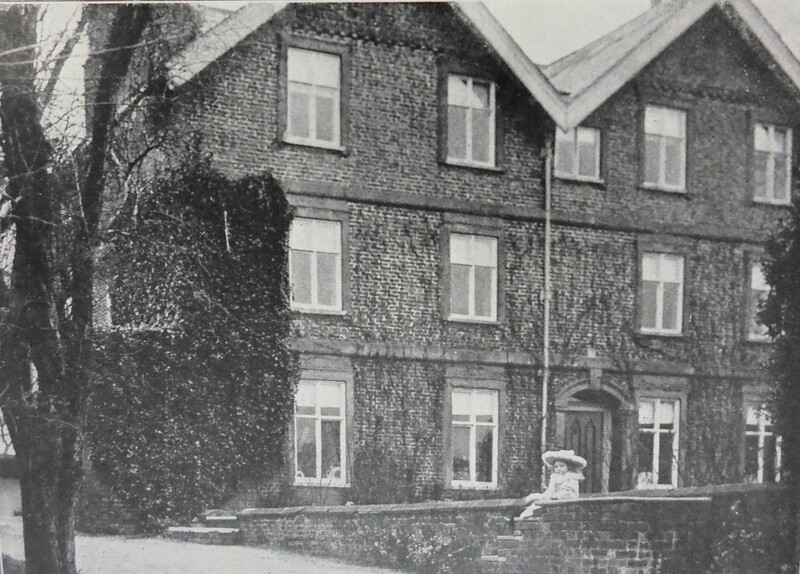 Mary Robberds, wife of the Rev John Gooch Robberds who was the minister of the Cross Street Chapel in Manchester, often spent school holidays at Sandlebridge due to family connections, and described it as “a fine large old house covered in front with a vine”. 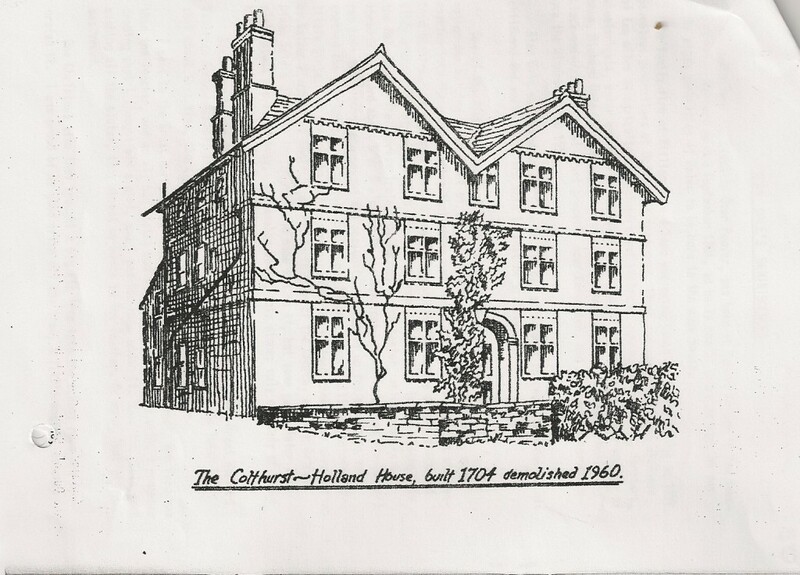 A sketch of the house, thought to have been done by local historian Alan Dale. “Mrs Gaskell and Knutsford” by Rev. George A.Payne. 1900. and edited. 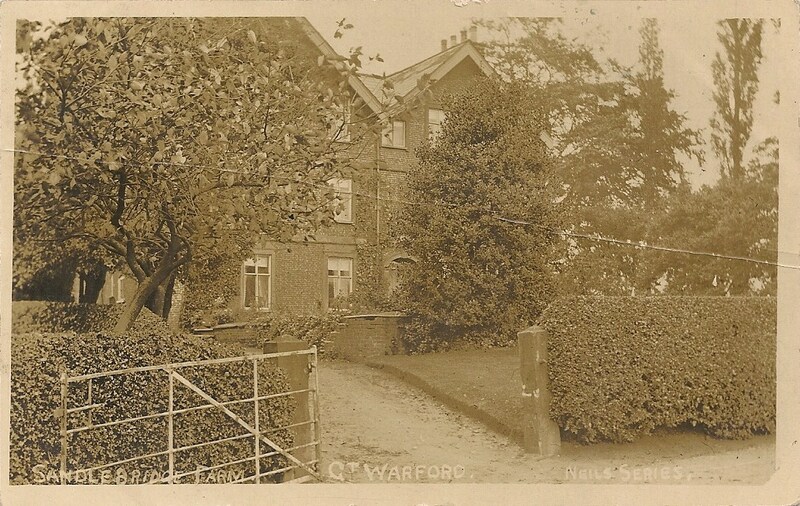 “The old house stands lonely in a beautiful and tranquil place, with a waving prospect of fields and shady trees and hedges, reaching to the hills which rise in the far distance…Sandlebridge is now given up to a farmer; a pretty flagged stone path leads up to the front door. There used to be two brick pediments with balls at the garden gate. Years ago, so long ago that the great Lord Clive was only a schoolboy in Knutsford at the time (his mother was a Gaskell and had connections in the place), he used to come over to spend his half holidays at Sandlebridge, and his pleasure was to jump across from one stone ball to the other, to the great danger of his legs and arms. Here too in later times, as we have said, Mrs Gaskell used to come as a little girl, and play with her cousins and gather flowers from the garden. There was a great bed of saxifrage, which may still be there, it was always her favourite flower.